Vince Guglielmotti is the Chair of the firm’s Tax practice group. He provides advice to corporations, pass-through entities, REITs, REMICs, and individuals with respect to both domestic and international tax issues. 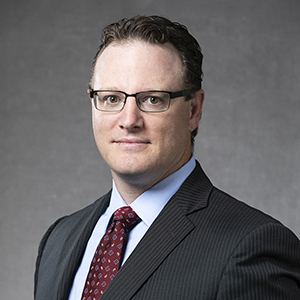 His practice includes advising clients on mergers and acquisitions as well as assisting debtors, creditors, and investors to restructure, acquire, and sell financially troubled entities inside and outside of Chapter 11 bankruptcy proceedings. In addition, Vince represents clients in connection with various executive compensation matters. Vince’s focus on nonqualified executive compensation includes drafting and structuring equity incentive plans, change of control agreements, executive employment contracts and severance agreements and advising clients on the tax issues related to such arrangements. Vince also represents clients in tax controversy matters before the Internal Revenue Service and state tax authorities. As part of Brown Rudnick’s Family Office team, Vince is also part of collaborative, cross-disciplinary initiatives assisting clients in this area. Representation of companies, committees, bondholders and other constituencies in bankruptcy and out-of-court restructuring transactions, advising on a range of tax matters, including representation in Millennium Health, Texas Competitive Electric Holding (TXU), New England Compounding Pharmacy, Dendreon, Endeavour, Synagro, Delta Petroleum, Dewey LeBoeuf, A123 Systems, Lyondell, and Six Flags. Representation of a public company in connection with its acquisition of a domestic corporation for in excess of $4 billion. Representation of a foreign public company in connection with its acquisition of a domestic corporation and the issuance of a tax opinion supporting treatment as a tax-free reorganization. Representation of a public company in connection with a $2.5 billion credit agreement and a $1.5 billion term loan. Issuance of tax opinions in connection with the securitization of assets and receivables in excess of $5 billion. Representation of multiple foreign clients regarding inbound real estate investment structures. Representation of international hedge funds regarding substantial equity trades and U.S. tax considerations under Bankruptcy Court orders restricting transfers. Representation of United States persons with substantial offshore assets to meet IRS Offshore Voluntary Disclosure Initiative. Representation of C-suite executives in connection with severance and change of control agreements. Representation of a family office in connection with the global restructuring of its international holdings. Included in Turnarounds & Workout's special report of Bankruptcy Tax Specialists in the Nation's Major Law Firms for multiple years.